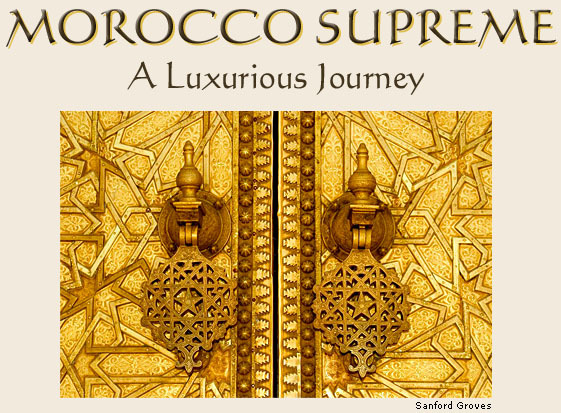 We invite you to join us for a once in a lifetime trip to the warm and welcoming country of Morocco. Our journey takes us through the fascinating and ancient cities of Fes and Marrakech, and to the charming Atlantic village of Essaouira, a Phoenician port in the 16th century and into the High Atlas Mountains. As curious travelers, we'll dine in a private home, learn about the singular aspects of Islamic architecture and culture, visit artist studios, and experience other unique activities, including a special day in the High Atlas Mountains at a gorgeous kasbah. 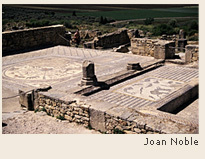 We may be tempted by the famous Moroccan rugs or any number of other crafts as we stroll through the ancient medinas. The best and most evocative of hotels have been chosen for your pleasure. Moroccan cuisine is delicious and we'll sample classic dishes of each locale — and enjoy a special private cooking class. Due to late colonization, traditional ways of life still exist undisturbed. Our excellent guide will share historical information, describe traditions, customs and entertain us with tales of family life, along with details of the magnificent sights we'll visit.